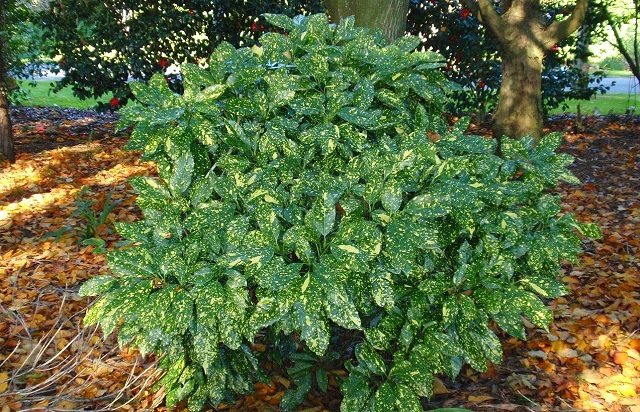 Aucuba japonica is a popular, hardy evergreen shrub native to Japan - hence the species name. 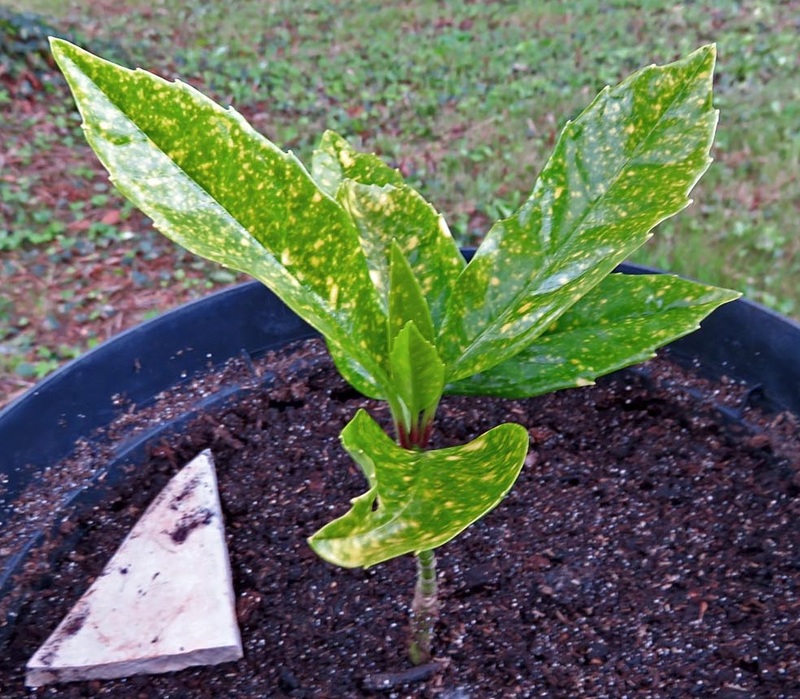 Aucuba japonica are dioecious, meaning that they have separate male and female plants. Therefore you will need both sexes planted within proximity to produce berries on female type species or cultivars. They are easy to grow, and have proven to be tolerant of dry shade, atmospheric pollution and coastal winds. While it is indeed possible to propagate Aucuba japonica from seed in September and October, it is acknowledged to be a particularly slow method of propagation. 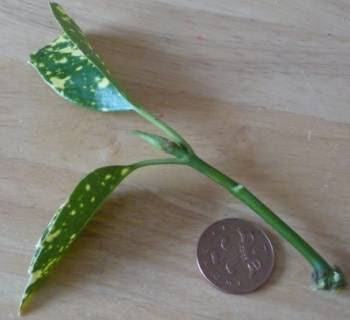 This is why growing Aucuba japonica from cuttings is the prefered technique. They will even root in a glass of water! For best results, propagate Aucuba japonica from semi-ripe cuttings in August and September, or from fast-growing stem tips cut in spring. Water the parent plant or plants the night before and aim to take your cuttings early in the morning to help keep your cutting material as turgid as possible. Unless you are striking your cuttings immediately, place your cutting material inside moist paper towel and place them in a plastic bag. Using a sharp sterilized blade take cuttings 4-6 inches long, preferably with a heel, from healthy lateral shoots. Remove the leaves from the lower half of the stem and cut the remaining leaves in half. This will help to prevent your cutting from drying out before it has a chance to produce its roots. Using 3 inch pots, fill with a good quality compost such as John Innes 'Seed and Cutting' or produce your own by mixing equal parts by volume horticultural grade moss-peat and horticultural sand, Insert one cutting into each pot, but avoid having any leaves touching the compost. Rooting hormone is not required as Aucuba japonica can will readily produce roots under favourable conditions. Gently water in and then place the pots of cuttings inside a cold frame shaded from the heat of the day . Alternatively, and if you have space, seal the pots inside a clear polythene bag and place in a cool, bright room, but one which does not receive direct sunlight. Once the roots begin to established they can be placed outside in a shaded coldframe. The following April, the rooted cuttings can be potted on into larger pots or planted out into nursery rows and grown on for a further two years before setting out into their final position.